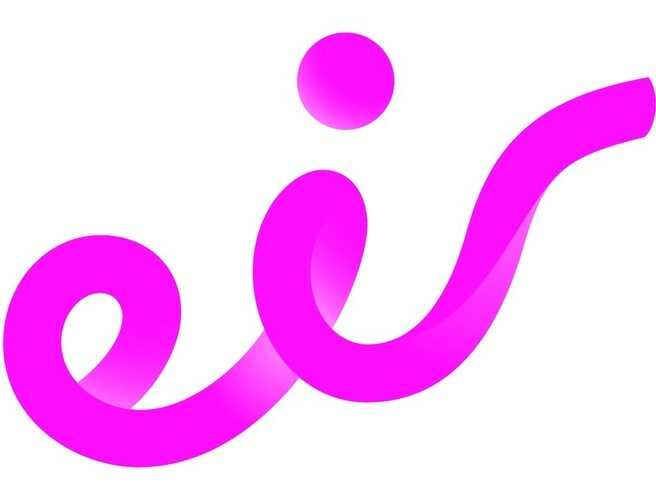 eir is the principal provider of fixed-line telecommunications services in Ireland. eir mobile division includes Meteor and eir mobile. Hireserve provides e-recruitment technology to eir in partnership with Sapient. eir is Ireland’s leading provider of fixed-line and mobile telecommunications services with 2.5 million fixed and mobile customers. With a 76% share of the Irish fixed-line market, eir has the most extensive fixed-line telecommunications network in Ireland in terms of both capacity and geographic reach. The company provides a comprehensive range of advanced voice, data and Internet services to the residential, business, enterprise and wholesale markets. With approximately 5,000 staff employed across the Group, the centralised internal resourcing team recruit for a wide variety of roles across four different eir websites and working with Sapient in 2010 adopted Hireserve ATS, Hireserve’s e-recruitment software solution, to manage all recruitment activity, both internal and external. Sapient is a leading specialist provider of end-to-end recruitment and human resources services and has been partnering with Hireserve to provide Hireserve ATS since 2005. Sapient has been working with the eir Group since 2006 on manager training, selection processes and large-scale recruitment projects. “The apprenticeship programme hiring process has been a complete success and we couldn’t have possibly managed the volume of numbers without Hireserve ATS.” – Sheelagh Gartlan, eir’s Project Manager for the Apprentice Programme. Youth unemployment is rising and many organisations are not recognising the opportunities that this generation of fresh new talent can bring to their business. Apprenticeship schemes are one way to engage young people, combining training and work to develop a highly motivated and skilled workforce for the future. eir was one organisation looking to build its future workforce and in 2011 the company launched an Apprenticeship scheme. It was an exciting but daunting project for the business as the last apprentices the Group hired were 30 years ago. “Our Apprentice Programme is a great opportunity for the successful applicants. It’s a fantastic way for us to invest in the future of our business, while offering the apprentices a great start to their careers.”– Brendan Lynch, eir’s Technology Managing Director. eir’s central resourcing team were looking to recruit the fifty apprentices within a challenging three month timeframe, with all candidates applying electronically through the eir.net careers page and utilising Hireserve ATS technology to manage the entire recruitment process. The programme was promoted and advertised using traditional print media, online advertising and social media, predominately through Facebook. Interested candidates were encouraged to apply directly via eir.net and Hireserve ATS was embedded seamlessly and intuitively into the existing careers page enabling candidates to submit their details easily and quickly. The campaign attracted an unprecedented number of candidates, 4800, and Hireserve ATS handled over 3,500 completed applications in a three week period. The Hireserve ATS simple and intuitive interface ensured the resourcing team were better able to manage the huge number of applications and process them effectively and efficiently. The candidate data was easily searchable and shortlists created to fit within the short timescales the team were working towards. The relevant information was available to the right people at the right time and the entire process was straightforward and seamless. Of crucial importance to the success of the entire project was the ability of Hireserve ATS to track the response rates from individual candidate sources enabling the team to adapt the sourcing strategy to ensure maximum impact in the limited timeframe available. The candidates found the experience user-friendly and simple to use and were easily able to monitor the progress of their application. The resourcing team were able to contact candidates quickly and easily ensuring timely, engaging and personalised communications throughout the process. This reinforced a key objective of giving an excellent candidate experience whilst promoting eir’s values and vision, building upon its employer branding. Using an e-recruitment system that was flexible to eir’s changing needs was vital as the company took a decision to recruit additional apprentices increasing from the initial fifty to seventy places. The analysis and reporting capabilities within Hireserve ATS also allowed the resourcing team to determine which avenues were most successful in attracting applications and to take action to change or shift the focus of the sourcing strategy as required. Following the decision to increase the number of apprentices, the application deadline was also extended. Hireserve ATS facilitated the resourcing team in communicating this immediately and directly to all candidates. There were a number of stages in the application process including aptitude tests, telephone interviews, assessment centres and face to face interviews. Each stage was managed within Hireserve ATS and candidates were able to view their application status via the candidate portal throughout. In total the system handled over 15,000 interactions with candidates mainly through email and phone. the quality of the candidate experience for the 4700+ candidates who were unsuccessful. The Hireserve team has worked closely with Sapient to ensure eir’s e-recruitment requirements were met and delivered.